Now that we live in the 21st century, the rules of dating have changed and the terms of romantic engagement have shifted. With apps like Tinder and Bumble, as well as popular sites like OkCupid, Match.com and Plenty of Fish, finding a potential romantic partner has never been easier. There is a flipside to this ease of dating connectivity, however. Because nearly all of us have a cell phone, potential stalkers can use your telephone number to track down other vital information, like your home address, where you work, and other private and sensitive information that could lead to real problems down the road. Because you never know how tech-savvy someone is, simply giving away something as seemingly innocuous as your phone number can have some dangerous consequences. This is true of strangers who may want to exact their “revenge” based on their own delusions, or those just out to exploit your personal information for nefarious uses. It’s a sad reality, but those who are looking to find a potential match or date need to be careful. Is there a solution to this level of vulnerability? The answer is yes. 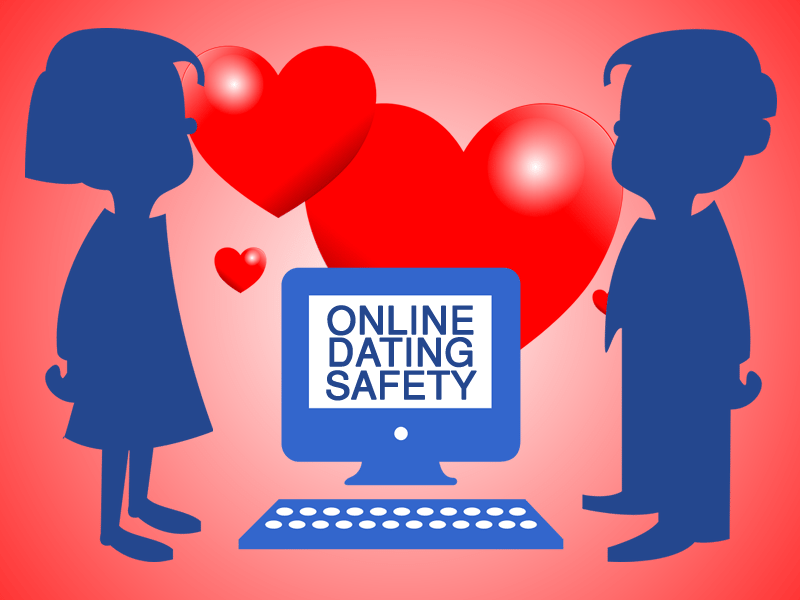 The best option is to use virtual phone numbers for online dating safety. Virtual phone numbers can give you the ability to connect with others while also remaining anonymous if you choose to (or if just change your mind). First, What is a Virtual Phone Number? A virtual phone number is a phone number that a subscriber can purchase that routes calls to the primary phone number of their choosing. This is a good solution for international situations, whether you are studying abroad or planning an extended vacation in one location. Using virtual phone numbers for online dating safety is a great option in any of these situations if you want to allow yourself a little extra safety in uncertain situations. The easiest way to understand using virtual phone numbers for online dating safety is to think of them as a layer of protection. Virtual phone numbers work to establish a buffer for someone to directly reach you, especially if they are unreasonably persistent. Instead of using your primary number, you get an added level of safety with an alternate that transfers directly to your primary number. If you’ve participated in online dating for any period of time, you probably have your fair share of interesting tales, so why not have some extra protection? You truly never know when it may come in handy. Imagine that you’re at a social outing and someone comes up to you. “Aren’t you the girl I saw on Tinder?” he says. The truth is that you are, but you’re just not interested in him. You probably want to politely turn down this potential suitor without embarrassing him in public, or fueling a possible unwanted/ violent reaction. By giving them your virtual phone number, you can go through the motions — even with your phone responding if they decide to press the issue right then and there — but you can retain your anonymity to the level you feel most comfortable. Additionally, when using virtual phone numbers for online dating safety, you can separate your personal information from your pursuit of potential dates, as scammers thrive on getting personal information from those just looking for love and companionship. With worldwide schemes that use just a phone number to gain access to your personal information, scammers can potentially empty your bank account. At the bar, your date arrives, but your intuition tells you that there’s something not right about him as he begins with the typical questions, asking where you’re from, how long you’ve been in the country, and where you’re staying. Alarm bells go off and you realize that you may have already said too much from the get-go. More red flags appear over the course of the night and the worst has been confirmed — you will not be seeing this person again. Somehow, you manage to get away thanks to some quick thinking, but he says, “I’ll give you a call tomorrow so we can rendezvous again.” You can feel the nerves in your stomach drop as you realize he’s not going to take “no” for an answer. On your way home, you’ve already got 20 unread text messages and five missed calls. Courageously, you read them all. The last message reads: “why are you ignoring me?” Uh oh. Would your French vacation be ruined if you constantly have to have your phone set to voicemail or if you’re constantly looking over your shoulder? Not if you’ve purchased virtual phone numbers for online dating safety. Virtual phone numbers typically come equipped with a number of functionalities to block numbers, especially if you use a company that puts security first, like Global Call Forwarding. In addition, if the caller goes so far to use different numbers in an effort to reach you, you can simply pull the plug and halt the service of your virtual phone number. Then, if you want to resume your vacation with the same protection as you had in the past, you can change to another virtual number.